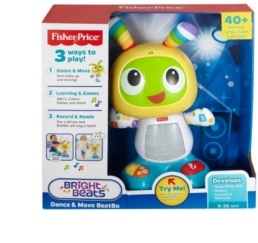 The Fisher Price BeatBo is the perfect activity for toddlers to have fun and play. Push BeatBo's feet or tummy to play over 40 different great tunes, dance'n'move music or learning content to introduce your baby to colours, counting and the ABC. 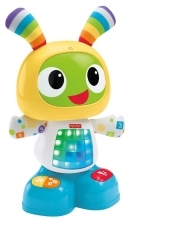 Beatbo will get your toddler dancing with great tunes whilst shaking his hips, nodding head and LED grid light tummy. Recommended for ages 9 to 36 months. Requires 4 x AA batteries which are included. We constantly check for BeatBo stock, so you don't have to. Receive email alerts when BeatBo online stock is found.